Over cocktails and hors Da��Oeuvres, Saad Bin Jung launched his book Matabele Dawn, a journey through Africa and India. The highlight of the evening was a reading from the book by Sangeeta Jung followed by an animated discussion by the well turned out crowd. band all the way from Munich, saw the spirit of Oktoberfest come alive over the week-end. 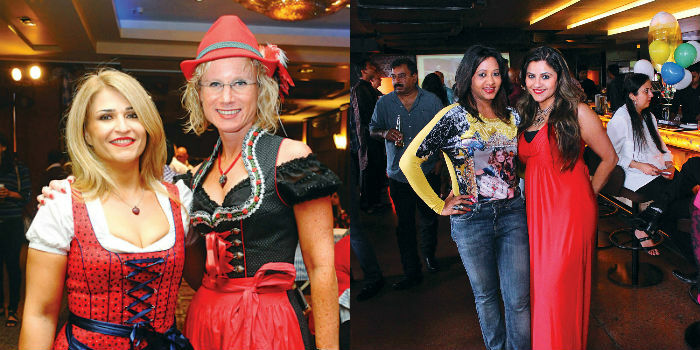 Folks in colourful Bavarian costumes along with Bangalorea��s party peeps danced the night away.